Non-fiction intrigues me far more than any fictional story. Good non-fiction tells a true story well and I prefer reality to fiction. 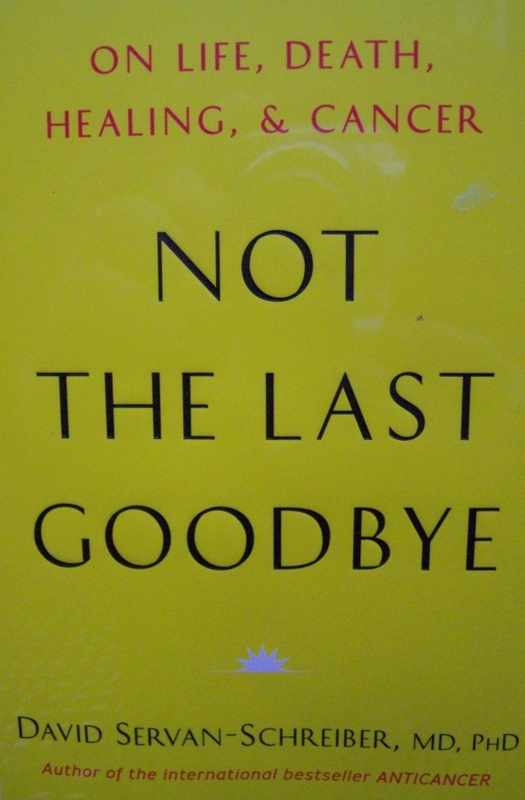 This connection between reality, truth and the depths of human emotion is expressed well in “Not the Last Goodbye” – the mini-autobiography of a doctor who struggled with and overcame glioblastoma and then, 19 years later, returned to that same battlefield to fight again. This is a strong, inspiring and insightful story that has value for cancer victims and survivors as well as family members and friends of all cancer warriors. The book is published by Penguin Group (USA), New York (ISBN 978-0-670-02591-6). Glioblastoma or gliomas are cancer cells of the astrocytes (star-shaped cells) of the brain that serve to glue and support other brain cells and tissue. Cancer, simply defined, is a disorder of normal cells that have turned abnormal and these cells show unrestricted and uncontrolled growth that leads to overgrowth, congestion and crowding of normal cells. This uncontrolled growth eventually kills normal cells and tissues due to increased pressure and toxicity of the cancer. Gliomas or glioblastomas are typically composed of astrocytes, blood vessels and various cellular deposits which form a complex matrix of materials. The tumor or glioma has tentacles that spread and are difficult to separate and remove from other brain tissue. Surgery often removes much of the tumor but not all of the glioma. Gliomas usually occur in people over 50 and may be treated by surgery, chemotherapy and radiation. The survival rate varies from about 14 months to 5 years or more. Dr. David has a medical degree in psychiatry and a PhD. He was a professor of psychiatry at the University Of Pittsburg School Of Medicine. He authored the famous “Anticancer, A New Way of Life,” and lectured and traveled throughout the world. As a cofounder of the center for Integrative Medicine he was at the cutting edge of combining the best ideas in nutrition, science and medicine from multiple sources. A life and a struggle are well-told in 164 pages of this book and the beginning is June 16, 2010 where David, the doctor and author has just undergone an MRI and soon the oncologist reports a huge, vein-filled mass in David’s frontal lobes, the exact area where 19 years earlier a glioblastoma cancer was defeated. Dr. David phoned his wife to convey what seems like the worst of news and they both sob as they talk. Soon he was riding his bike back home and thinking he “was going to need every ounce of courage and composure I could muster.” Earlier in May Dr. David noticed that his legs suddenly just gave way – one minute he was standing, the next he was on the floor. He knew that help was needed and it was needed soon. In Cologne, Germany, Dr. David finds expert German doctors in the Departments of Complementary and Alternative Medicine and the Department of Neurosurgery. Radioactive bead implants at the surgical site were not the sole therapies as Dr. David had round the clock support from four brothers who took turns comforting, talking, listening to music and watching movies and the World Cup soccer tournament. The story weaves and winds and we are lifted by the mind of a doctor and a fellow sojourner of planet earth who tells a story of trials, surgeries, treatments and hopes. And as this tale unfolds we get to know someone who is brave, thinking, struggling, overcoming, becoming and always in the process of moving beyond this moment to the next in anticipation of something better in one way or another. Since June, 2010 when his cancer returned, Dr. David had undergone three surgeries, one radiation series, two vaccine treatments and an avastin or antiangiogenic treatment. His glioblastoma was a stage four with a survival time of fifteen months. Dr. David then asks why as an expert on Anticancer and the writer of such a book did cancer come and befall him again. He says the book he wrote is valid, but he himself did not follow the rules and recommendations as he allowed stress and overwork to overcome him time and time again. Dr. David says he is comforted by the words of Psalm 23. There is much in this book to commend it to your attention. To say more, might be to say less, for it is in the complete reading of this unique and compact book that you understand more about cancer and probably much more about the people and families who are engaged in that battle every day throughout the world.